It was initially designed as an infantry-support medium tank (Begleitwagen, mittlerer Panzer), to work in conjunction with the Panzer III which was intended to engage enemy armor. Later in the war it was up-gunned and up-armored and took over the tank-fighting role while Panzer IIIs were either put into infantry support duties or converted into other vehicles. The Panzer IV was the most common German tank of World War II, and was used as the base for many other fighting vehicles, such as tank destroyers and self-propelled anti-aircraft guns. The Panzer IV has the distinction of being the only German tank to remain in continuous production throughout all of World War II, with over 8,500 produced from 1937 to 1945. As an interesting sidelight, a Syrian Panzer IV was one of the many vehicles captured by the Israelis during the Six-Day War in 1967. Here are some specifics on the Ausf. G variant: (1942-1943, 1687 produced): Thicker turret armor, winter combat modifications. Some late Ausf. Gs were fitted with 'Schürzen', side skirts, thin metal plates attached to the hull sides and turret via mounting brackets for protection against Soviet anti-tank rifles as well as hollow-charge rounds. Here is another superlative Dragon Armor kit. The side of the box notes several new or upgraded bits including a new tooled Ausf G turret with a 'split level' at the rear. New smoke grenade launchers, turret side hooks, front add on armor, front spare track rack, newly tooled mantlet and spare wheel rack. The kit has their magic track individual links as well as a photo etch fret and a wire towing cable. 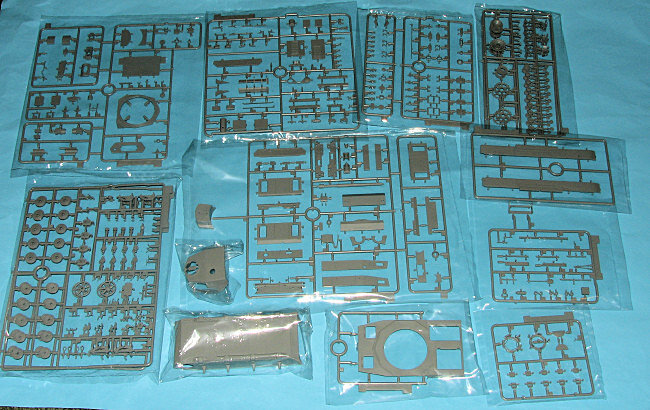 The level of detail is quite high, as one would expect from a kit with 740 parts, so it is not for the tyro. Those who have a few armor kits under their belts should find one to provide hours of enjoyable building. In common with most other large scale Dragon kits, nothing in the way of hardware is already molded in place. This provides as great a level of accuracy as one can get and also helps to up the parts count! Judging from the indented gun barrels and exhaust ports, this kit makes good use of their slide mold technology to provided the greatest detail level possible. Instructions are very well done, showing any optional bits and pieces during the sequence. Color information is provided using Gunze and Model Master references. There are markings for five tanks provided. One is the box art option and the other four profiles are shown here. 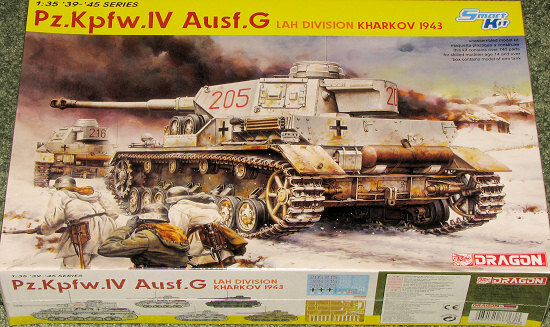 Two winter white tanks from LAH division, a panzer grey version from 'Totenkopf' division at Kharkov in 1943, another winter scheme from 'Grossdeutchland' division in Russia 1943/44 and finally a panzer yellow tank from Greece in 1943. It is a complex kit with a lot of parts, however, the build sequences are quite logical and with some patience, it should turn out to be a real show stopper. It is one that I am sure you will enjoy building. 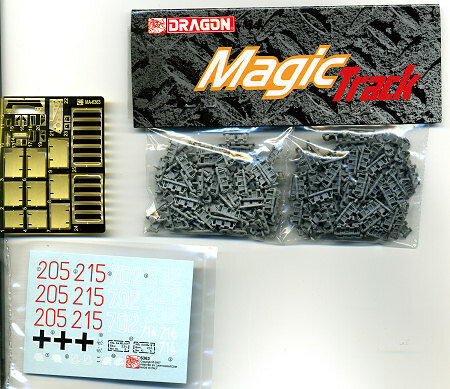 My thanks to www.dragonmodelsusa.com for providing the review kit. You can get yours at your local hobby shop and if you don't see it, ask for it.